If you made up your mind to take advantage of a cloud database, Ispirer is here to help you to make the process of moving your current database to the cloud fast and simple. Ispirer MnMTK is a highly customizable database migration tool that automates the entire migration process to the could by generating readable and maintainable code with manual conversion quality. The toolkit supports migration to a variety of cloud databases provided by the Microsoft Azure, Amazon Web Services (AWS), SAP HANA Cloud Platform, Oracle Cloud Platform, Google Cloud Platform, IBM Cloud, Pivotal Cloud Foundry, EMC Hybrid Cloud, NetSuite Platfom and other cloud services. We can quickly add your solution to the list of supported conversion rules. Due to the tool customization, automation of the migration process can reach up to 95% and even more. Automatic migration is much faster and allows to avoid mistypes in a code typical for manual migration. Our technical team has many years of experience in migration projects of different levels of complexity. We can offer you a wide range of options, among which you will definitely find the one that suits you. 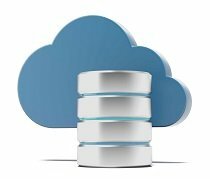 Along with our migration toolkit we offer a service for database migration to the cloud. For more information about Ispirer engagement model, please contact us at our Contacts page.